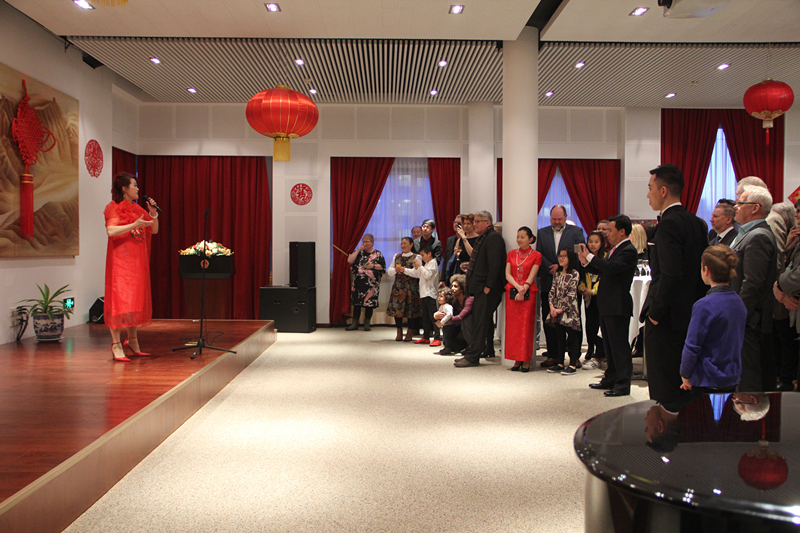 On 14 February, Ambassador JIN Zhijian and his wife Mme. 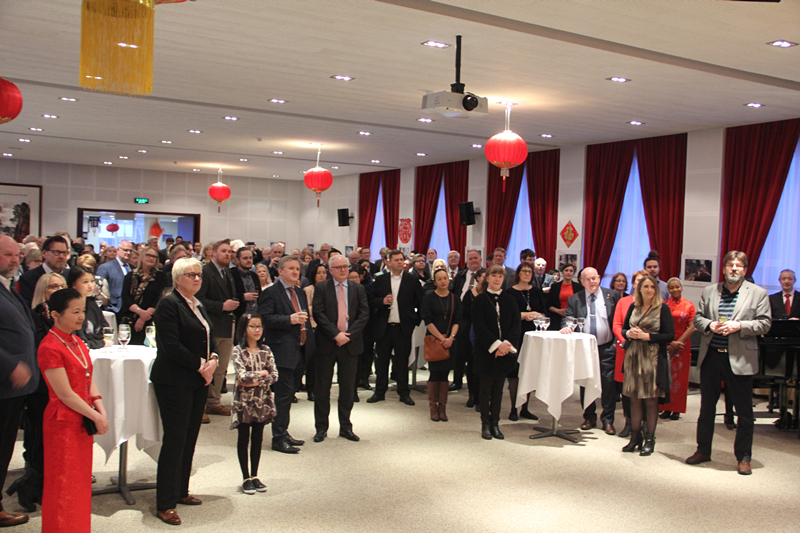 HE Linyun hosted Arrival and Chinese New Year Reception at the Embassy, Over 300 guests participated in the reception, including representatives from the Icelandic Government and Parliament, diplomatic envoys accredited to Iceland, overseas Chinese and friends from all sectors of society in Iceland. 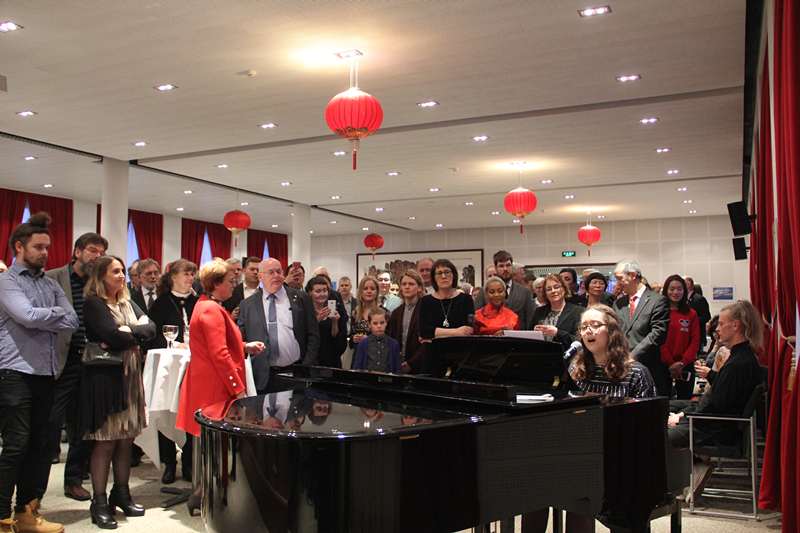 Ambassador JIN delivered a passionate and warm speech, he sent his best new year wishes to all the guests and said he is very pleased to come back to Iceland after 27 years as the new Chinese Ambassador to Iceland at a significant point of the development of China-Iceland relations. He will spare no efforts and work closely with all friends present to put plans into action and transform expectations into reality, further promoting the bilateral relations between China and Iceland by deepening practical cooperation in all areas, delivering greater benefits to the two countries and two peoples. 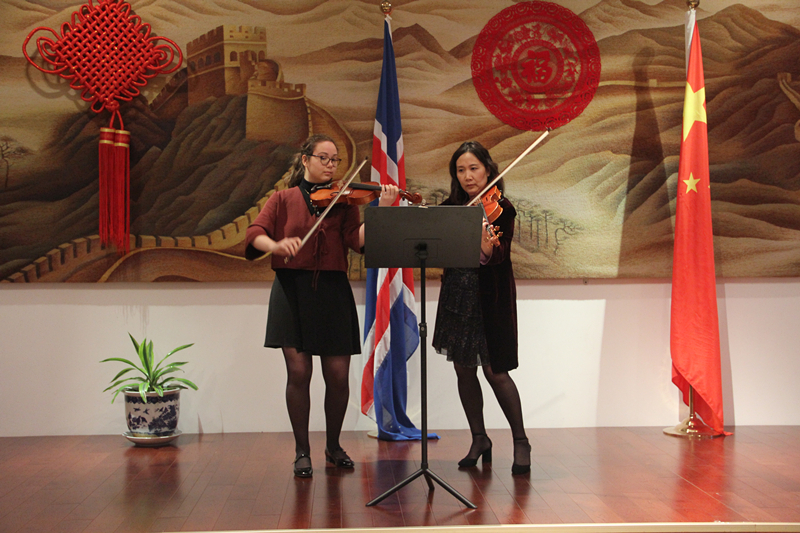 Ambassador JIN pointed out that under the guidance of the leaders of the two countries and the joint efforts from the two peoples, the relationship between China and Iceland has reached the best time in history. 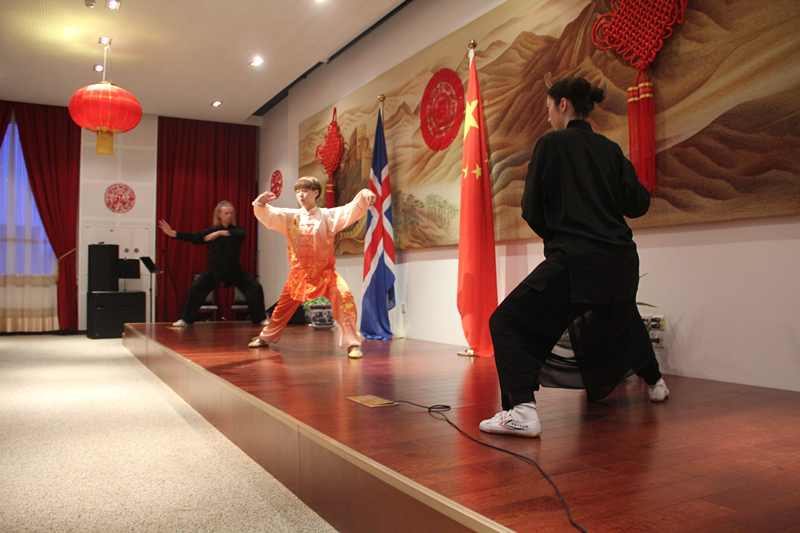 China and Iceland have set up a good example of developing relations featuring mutual political trust, economic integration, cultural inclusiveness and win-win cooperation between countries with different population sizes, economic scales and social systems. 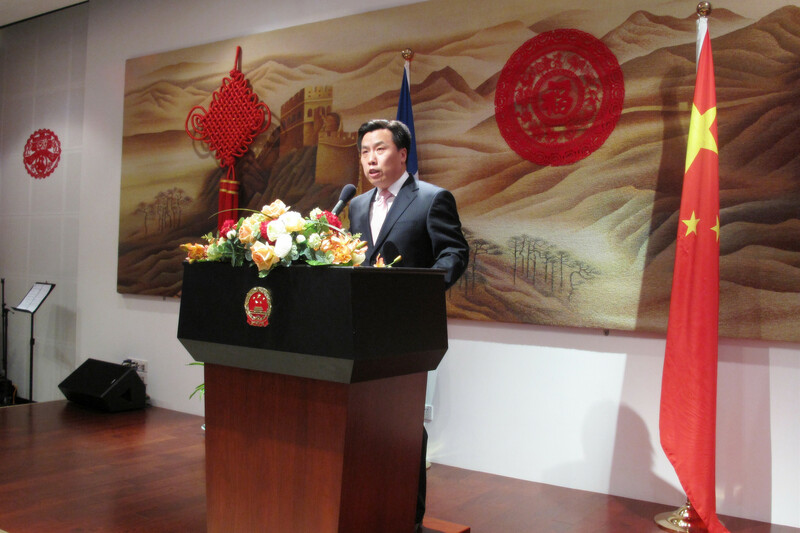 Ambassador JIN said that he is fully confident in the prospect of the bilateral relations between China and Iceland. last October, the Chinese Communist Party successfully concluded its Nineteenth National Congress, establishing the "Xi Jinping Thought on Socialism with Chinese Characteristics for a New Era", entering a new era of Socialism with Chinese characteristics and Embarking on a Journey to Fully Build a Modern Socialist China. The Icelandic economy has also witnessed a strong recovery and is growing in a very positive way. These provide tremendous new opportunities for the bilateral relationship. By considering signing the MOU on cooperation within the framework of the "Belt and Road Initiative" between the two governments and other means, China and Iceland can further enhance practical cooperation in the areas such as trade of agricultural and fishery products, infrastructure construction in aviation and communications, green energy, Arctic affairs, tourism, education and people-to-people exchanges. 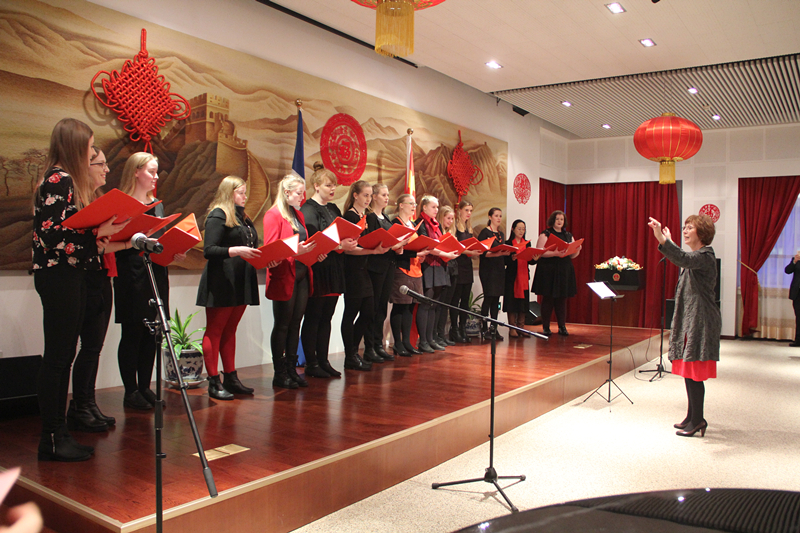 The atmosphere of the reception was cheerful and joyous, the Women's Choir of the University of Iceland and Chinese artists gave a series of wonderful performance, including chorus, singing, Taiji performance, instrument playing and so on. The guests welcomed warmly Ambassador JIN and Mme. HE to Iceland, and took photos with them while sending each other their best new year greetings and wishes. The reception hall was filled with happy laughter.